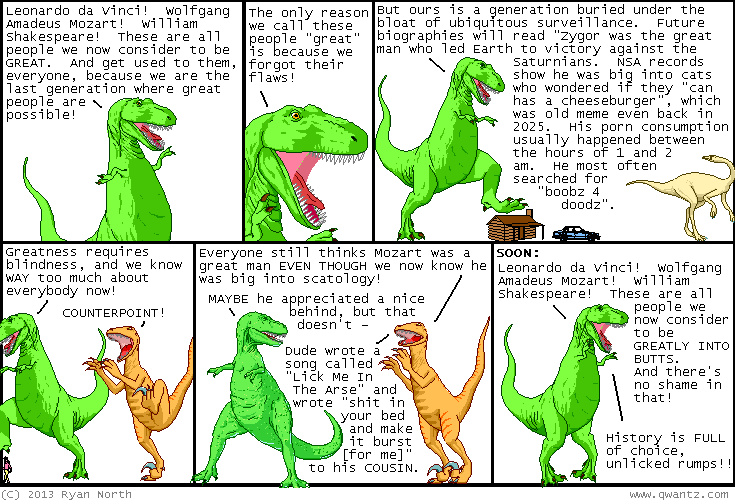 Dinosaur Comics - July 10th, 2013 - awesome fun times! July 10th, 2013: Oh my goodness, what are that pteranodon and rhamphorhynchus doing at the top of the page? Why it appears they are big into This Is How You Die, the new sequel to Machine of Death that I co-edited, and one of Publishers Weekly's Best Books Of Summer!